Many of these victims are probably known to DHS, but getting an accurate count of the unsheltered homeless helps identity people that might not know what services are available to them. In addition to the survey, we arrange for anyone who is interested to get picked up and driven to a shelter and we distribute information about comfort centers around the city. On a practical level, the count also sets the amount of additional federal funding the city gets for homeless services—and the city needs all the help it can get. HOPE has put this broader crisis into very concrete and intimate terms for me, as I’m sure it has for all of the volunteers. It has made me stop thinking about homelessness as one big crisis and forced me instead to see what it really is: 70,000 individual crises. It’s all too easy for us not see it that way. Pete Harrison is the CEO/Co-founder of homeBody. The best article I have ever read about the homeless. It should be required reading for everyone of us. I agree with Mr. Harrison. 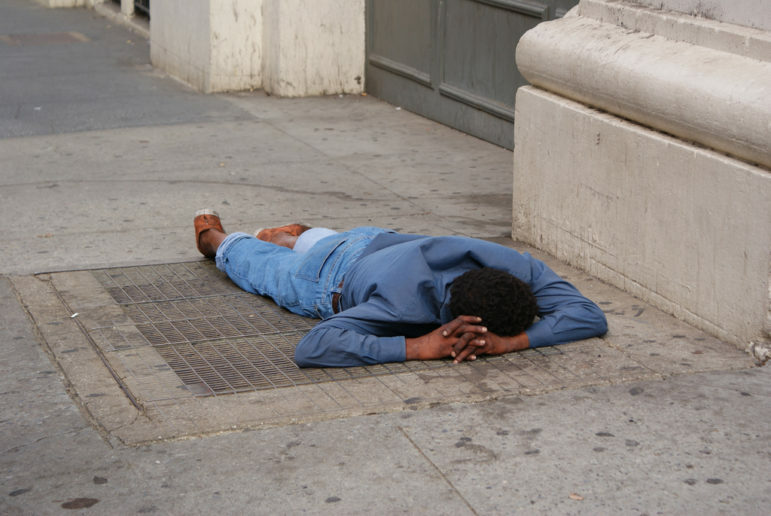 It is only too easy to treat the homeless as an invisible issue, or worse as a bother. I bought sandwiches for a couple in Manhattan, and I’ll never forget the shocked look of a female passersby. She could not stop giving incredulous glances at me and the homeless couple. I object to Mr. Harrison ‘s descriptors. A leading cause of homelessness is that the income of these displaced people did not keep pace with an incredible increase in rent. Gentrification/rezoning is reshaping the City. Almost no politicians are on the side of the working class and poor. I assume that REBNY is a better source of campaign contributions. Fact-Check: Has De Blasio Really Moved 60,000 Homeless People Into Permanent Housing? The city’s Homeless Services Police Department’s role in keeping shelters safe has been under more scrutiny, and there are signs the service has improved. But more training is necessary, some critics say. New York is once again set to count the youths who live on its streets. But this advocate believes the way the count is done, and the policy context in which it’s occurring, make it certain to be way off mark.